At The Brod Law Firm, we continue to speak with victims of the Richmond refinery fire on August 6, 2012. We are able to help those who have already contacted Chevron only to find they were offered a grossly inadequate amount of compensation as well as those who have not yet sought damages. If the fire caused you or your family health problems, you have a right to be compensated. We can fight for those present at the plant itself as well as those in the surrounding region who fell ill after the cloud of hazardous chemicals enveloped the neighboring communities. History shows us that it is a matter of when the next toxic chemical exposure occurs, not a matter of “if” it will. The Chevron plant has seen several disasters in recent years. It is, of course, not the only potential source of toxic chemical exposure in the Northern California region. Asserting your right to compensation, no matter how apologetic a company may appear in the wake of an accident, is an important part of reminding companies that they are accountable for their actions and need to prioritize safety over profits. Bringing a claim is one way to help prevent companies from side-stepping public safety. It is also important that people be prepared to react when a toxic chemical leak or similar disaster occurs. One alert you may hear in the immediate wake of an incident is a “shelter in place” alert. This can impact a single building, such as an industrial workplace, or an entire community. According to the American Red Cross, this order can follow either an accidental or intentional release of chemical, biological, or radioactive contaminants. The order seeks to keep the public safe while remaining indoors. Upon hearing the recommendation, you should look for a small, interior room, preferably with no windows. You do not need to fully seal off your home, but you should close windows and doors and shut off airflow systems. 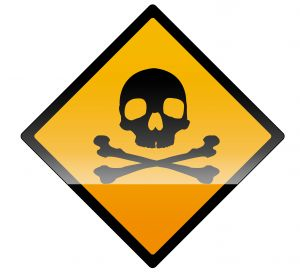 In case of a chemical concern, an above-ground room is preferable since some chemicals are heavier than air and could potentially seep into a basement location. Procedures are similar whether you are at home, work, or school during a shelter-in-place warning. If you are on the road and near your home, office, or a public location, go to that place and follow the same principles. If you are not able to get to a safe building quickly, you should pull over in a safe location, turning off the engine and closing windows and air vents. If it is hot, it is preferable to look for a shaded area or stop under a bridge to avoid overheating. Stay where you are until further advice is given. While you want to be removed from exposure during a shelter-in-place alert, you do want to be able to receive information. You should keep a radio or television on during the alert for additional updates, including either an evacuation order or an “all-clear” message. Ideally, you should also have access to a landline in case you cellular networks become overwhelmed. Do remember that these alerts are usually only a matter of hours, not days or weeks. Having an emergency kit ready is always a good idea, but you should not have to fear running out of air in your sheltered location. We hope it is a long time before this advice is needed. Medical care should always be your first priority after a health-threatening emergency. Our firm is always available to help those made ill by toxic exposure in San Francisco and throughout Northern California. You have a right to full and fair compensation. We can help you get it.